Hush now, we don’t want to disturb the animals… or do we? These plains are filled with packs of wild horses, grazing bison, raucous rhinos and wandering elephants that at any moment could stampede across your game reels for rich rewards. Uh oh, is that elephant getting ready to charge? 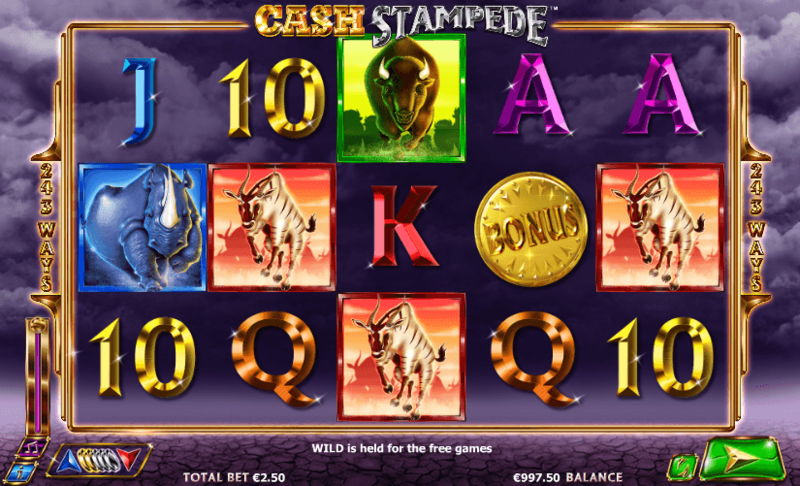 Cash Stampede is a 5-reel, 243 payline, progressive video slot machine powered by NextGen Gaming.